Written on February 29, 2016 . Posted in Architecture and Design. Yugon Kim (Critic, Interior Architecture) will present Combating Climate Change with Timber Construction at the 2016 Northeast Sustainable Energy Association (NESEA) Building Energy Conference in Boston on 9th March 2016. The presentation will introduce innovations in timber technology and through case studies demonstrate the wide range of environmental benefits. Currently, buildings in the United States account for 38% of all carbon emissions, with a growing population, this figure presents us with an imperative to reexamine how our buildings are constructed. 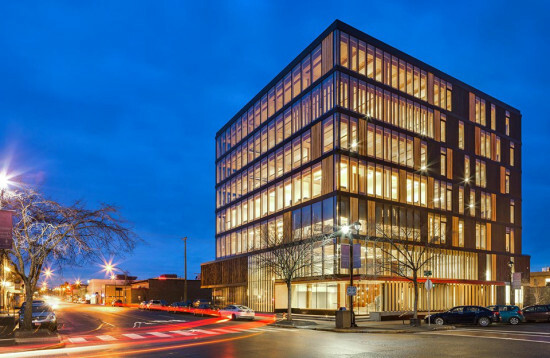 Timber is unique as a building material it combines two strategies for reducing climate change by reducing carbon emissions and removing carbon from the atmosphere. 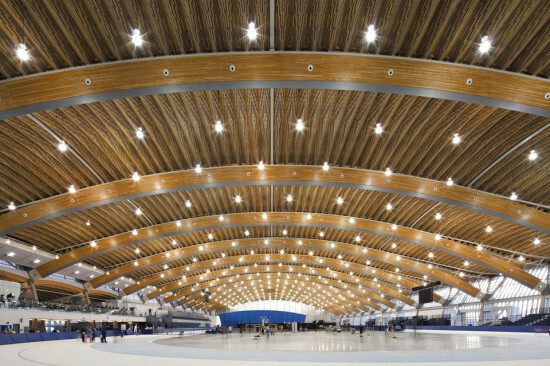 Recent innovations in timber technology are paving the way for timber to become, once again, integral to the fabric of our cities at this pivotal moment in time.